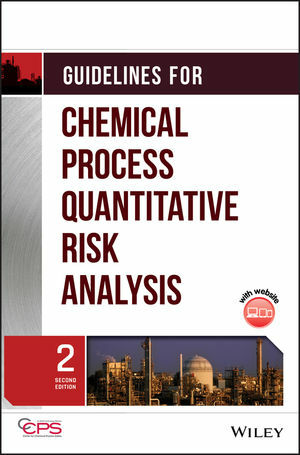 Chemical process quantitative risk analysis (CPQRA) as applied to the CPI was first fully described in the first edition of this CCPS Guidelines book. This second edition is packed with information reflecting advances in this evolving methodology, and includes worked examples on a CD-ROM. CPQRA is used to identify incident scenarios and evaluate their risk by defining the probability of failure, the various consequences and the potential impact of those consequences. It is an invaluable methodology to evaluate these when qualitative analysis cannot provide adequate understanding and when more information is needed for risk management. This technique provides a means to evaluate acute hazards and alternative risk reduction strategies, and identify areas for cost-effective risk reduction. 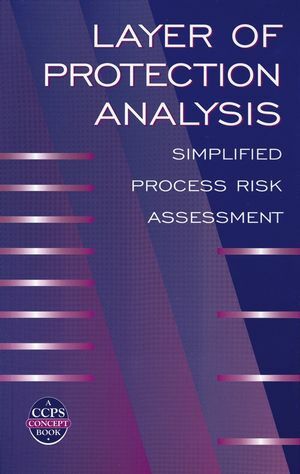 There are no simple answers when complex issues are concerned, but CPQRA2 offers a cogent, well-illustrated guide to applying these risk-analysis techniques, particularly to risk control studies. Acknowledgments to the First Edition. 1. CHEMICAL PROCESS QUANTITATIVE RISK ANALYSIS. 1.2 Component Techniques of CPQRA. 1.3 Scope of CPQRA Studies. 1.3.2 Typical Goals of CPQRAs. 1.4 Management of Incident Lists. 1.5.2 Applications within Existing Facilities. 1.5.3 Applications within New Projects. 1.8 Utilization of CPQRA Results. 1.9.5 Construction of a Project Plan. 1.10 Maintenance of Study Results. 2.2.1 Vapor Cloud Explosions (VCE). 3. EVENT PROBABILITY AND FAILURE FREQUENCY ANALYSIS. 3.1 Incident Frequencies from the Historical Record. 3.3.1 Common Cause Failure Analysis. 4. MEASUREMENT, CALCULATION, AND PRESENTATION OF RISK ESTIMATES. 4.3 Selection of Risk Measures and Presentation Format. 4.3.1 Selection of Risk Measures. 4.3.2 Selection of Presentation Format. 4.4.5 Example Risk Calculation Problem. 4.4.6 Sample Problem Illustrating That F-N Curves Cannot be Calculated from individual Risk Contours. 4.5 Risk Uncertainty, Sensitivity, and Importance. 5. CREATION OF CPQRA DATA BASE. 5.2 Process and Plant Data. 5.2.1 Plant Layout and System Description. 5.2.2 Ignition Sources and Data. 5.5.2 Types and Sources of Failure Rate Data. 5.5.3 Key Factors Influencing Equipment Failure Rates. 5.5.4 Failure Rate Adjustment Factors. 5.5.5 Data Requirements and Estimated Accuracy. 5.5.6 Collection and Processing of Raw Plant Data. 5.5.7 Preparation of the CPQRA Equipment Failure Rate Data Set. 5.7 Use of Expert Opinions. 6. SPECIAL TOPICS AND OTHER TECHNIQUES. 6.2 Unavailability Analysis of Protective Systems. 6.3 Reliability Analysis of Programmable Electronic Systems. 6.4.9 Multiple Failure/Error Analysis (MFEA). 7.1.2 Application to a New Process Unit. 7.1.3 Application to an Existing Process Unit. 7.2.2 Application to a New Process Unit. 7.2.3 Application to Existing Process Unit. 7.3.2 Application to a New or Existing Process Unit. 8.1 Chlorine Rail Tank Car Loading Facility. 8.1.3 Identification, Enumeration, and Selection of Incidents. 8.2.3 Identification, Enumeration, and Selection of Incidents. 9.2 Source and Dispersion Models. 9.2.2 Transport and Dispersion Models. 9.2.4 Concentration Fluctuations and the Time Averaging of Dispersion Plumes. 9.2.5 Input Data Uncertainties and Model Validation. 9.3.1 Unconfined Vapor Cloud Explosion (UVCE). 9.3.2 Boiling Liquid Expanding Vapor Explosions (BLEVES) and Fireballs. 9.3.3 Pool and Jet Fires. 9.7 Integration of Reliability Analysis, CPQRA, and Cost-Benefit Studies. Appendix A. Loss-of-Containment Causes in the Chemical Industry. Appendix C. Sample Outline for CPQRA Reports. Appendix D. Minimal Cut Set Analysis. Appendix E. Approximation Methods for Quantifying Fault Trees. Appendix F. Probability Distributions, Parameters, and Technology. Appendix G. Statistical Distributions Available for Use as Failure Rate Models. Appendix H. Errors from Assuming That Time-Related Equipment Failure Rates Are Constant. Appendix I. Data Reduction Techniques: Distribution Identification and Testing Methods. Appendix J. Procedure for Combining Available Generic and Plant-Specific Data.